When my daughter returned from England on a Sunday in July she began talking in the late afternoon about her trip and continued talking until late evening. She was clearly enthralled, so I listened patiently – or as patiently as I could - until I found a way to escape and run off to bed. But in the morning she began again until I understood that there would be no stopping her unless I could come up with a way to distract her. 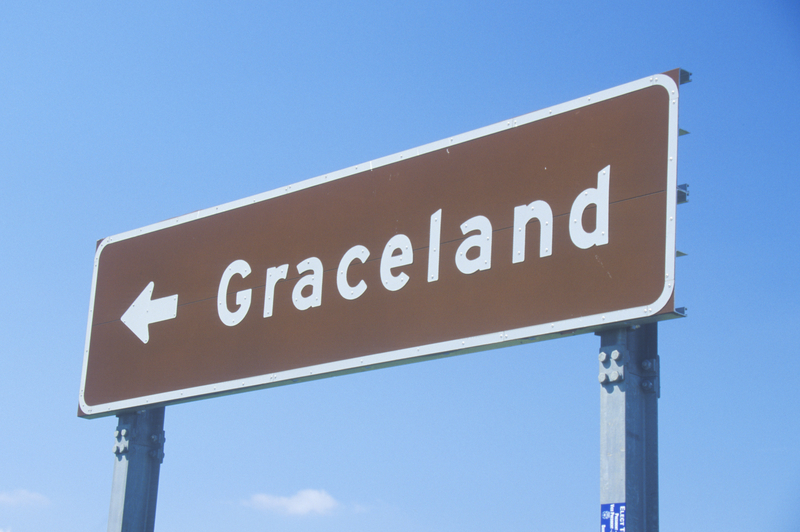 “Do you want to go to Graceland?” I asked. Going to Graceland was a trip we had been talking about making for the last twenty years. And so it began, as we left an hour later - despite the fact that it was already well passed two in the afternoon – knowing that for this trip, it was Now or Never. My daughter and I had a late dinner that first night in a town close to the Virginia/Tennessee border where, lo and behold, our waitress turned out to be a delightful exchange student named Madeline who was from – yes, you guessed it, England! (You would have thought the two of them were long lost friends as they began chatting away about merry ole England, a place to which they both clearly longed to return. Madeline gracefully accepted a copy of my book, Rude Awakening (which was not her tip) and promptly gave it to her boyfriend who was waiting for her to finish her shift. He must have started reading it immediately for when she returned a few minutes later she, in her British accent, whispered, “He said ‘This is really good.’” Delighted, I thanked her and told her to thank him as Jessi returned from the ladies room and we proceeded on our way, stopping that first night to rest at a hotel in Bristol, Virginia. And so it began, our great American road trip, which I will continue telling you about at some future time, and, in the meantime, I hope your summer is as exciting and adventurous as ours has been.